The most private spot on Rangeley Lake! 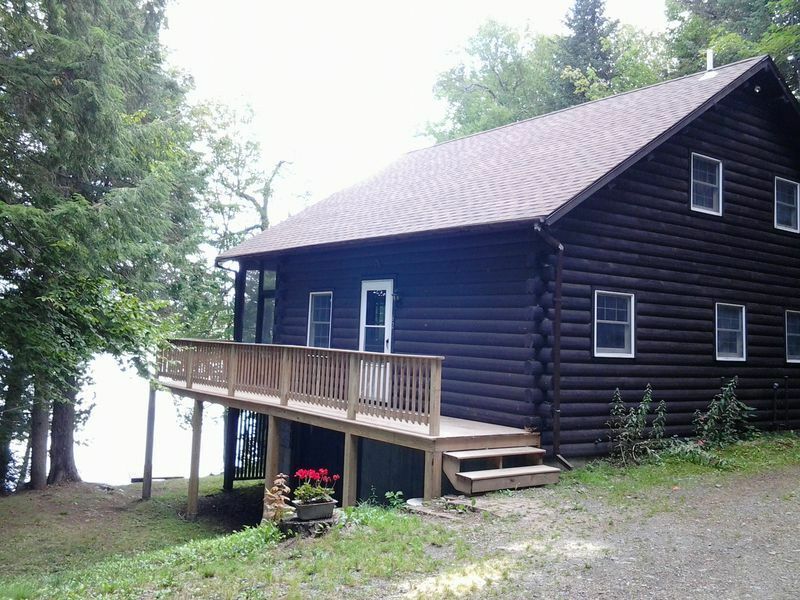 Get plenty of peace and quiet in this 3 bedroom, 1 bath log home located on one of the most private locations on the southern shore of Rangeley Lake, adjacent to over a thousand acres of conservation land, and within easy kayaking distance of the South Bog River. NO JET SKIS please. Cabin was great. Definitely as advertised. Close to town yet private. A few more towels would have been nice. The only draw back is that there really is no place to sit by the water. Absolutely perfect!! Private, clean, comfortable and above all, quiet!! All we heard were the loons, which we love. Perfect for our family and loved the private lake access. One of the best rentals we have come upon!! The cabin was very nice. On a quiet road and peaceful surroundings. The property is absolutely wonderful. Easy access for our kayaks. The view incredible, and would be nicer if the two trees on either side of the dock had a few huge branches removed. The only negatives were the mosquitos (S Bog Rd should be a clue!) & the damp, dank, musty odor from the basement which tends to permeate thru to the master bedroom. Nicely done cabin in a great location. Needed coffee filters, more paper towels and trash bags.